[/IMG]I GOT THIS. A NICE LITTLE CAR. WHAT WOULD BE THE RESULTS IF A 383-400 WERE PUT IN HERE? That all depends on what the 340 is like and what the 383 or 440 would be like. If the car is an original 340 it may gain a bit more swapping to a big block than a 6 or 318 car since my have steeper geared lighter transmissions for autos. This is what- a stock '72/3 340 with cast crank, stock heads, headers, and points? What would be the results isn't an easy question to answer. Some 340s will bring a Duster to the 10s. Some 440s won't run 13s in a Duster. There's a lot more that goes into the motor than just the size and there's more to the car than just the motor. Clean looking car. I agree with 270SE, alot of different things to look at as far as an engine swap goes and what to expect as the end result. Great looking car. I had a 70 with a 340 back in the 70's. Built the small block for racing with a 4 speed and had a lot of fun. I love the big blocks, but nothing wrong with the small blocks. If it were mine, I'd keep it a small block. Things get tight under the hood with a BB in an A body and since they do weigh more, your car won't handle quite as good. Unless someone changed it, no 72 340's came with points.....however, 318's and all other low performance engines did for the 72 model year. How does the car perform in its' current condition? You might consider some engine mods to the 340 rather than an engine swap. In a swap there are more things to think about than just the engine - trans, rear-end, etc. Plus a big block can be tougher on a unibody than the small block. Where was it said that it is a 72 340? It already has headers, so I would do mods to the 340. It was a big block killer in it's day. 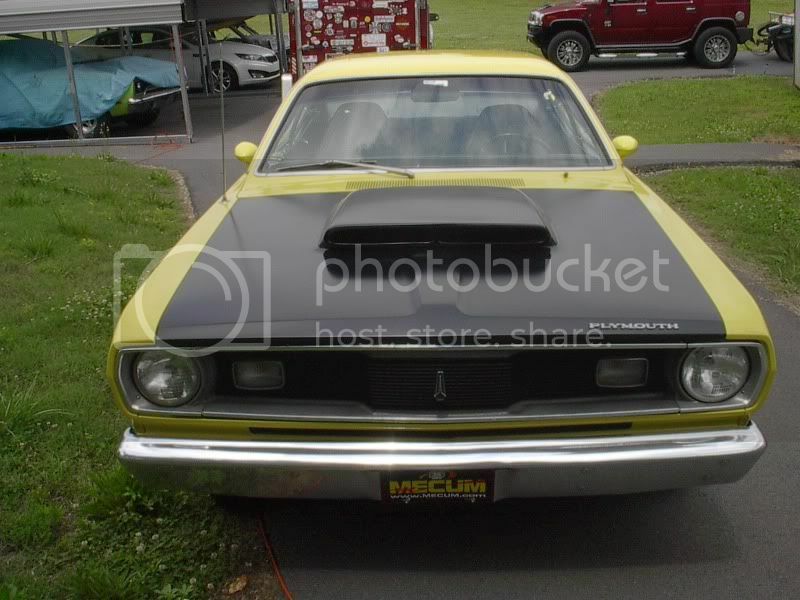 I have a friend with a '71 that is running 12.40's with ported stock heads, an intake and a better cam. He also is running Cal Tracks on the back of it too. That is a very sharp looking Duster. Congrats on your purchase! No, but I was meaning simply meaning it was a swap and someone didn't bring the electronic over. Ditto the nice car.....very cool !! 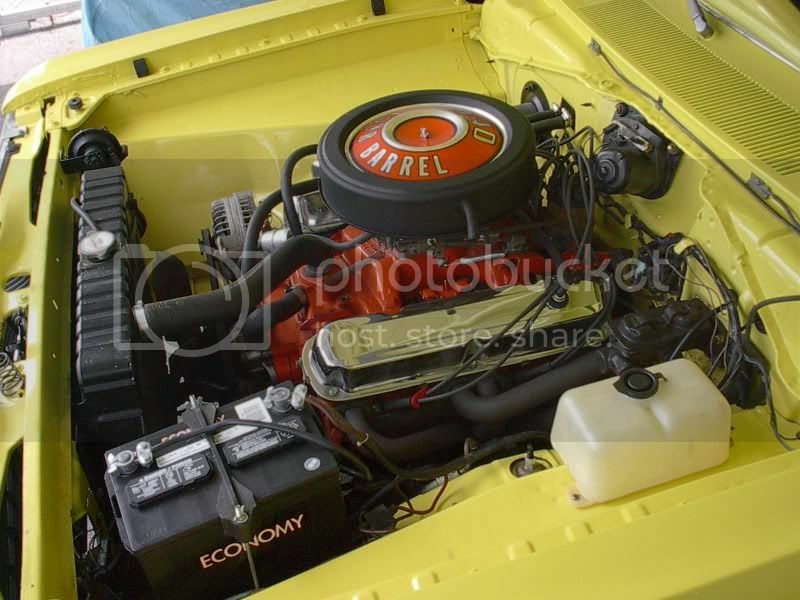 The small block works well with the A body since you don't have to worry as much about swapping the driveline and for the times that most tracks will make you put a cage in, a small block can do it with a very livable street-friendly motor for not a ton of cash. Sub-10s they're much closer to equal. An A's light enough that you can have an extremely potent little rocket. A common swap on these 340 A bodies is over to a 360 stroked to a 408. That way your 340's still stock but your car's faster. That and the 360 block/360 stroker setup is cheap and you are still doing an engine swap but your car won't be down long either and you still have a decent 340 out of all of it. I think I will keep it a small block since my 1969 RR is a BB 496 and goes in the low 10's. And a lot faster when I hit the juice. I'll see what I can do with the 340. What's the best 360 to look for? I have never played with a small block, just big one's. '71-'88 360s are pretty much equal. Nothing special, great, or wrong with them. '89-'92s will let you run a hydraulic roller easier & cheaper on a mild street setup. '93-'03s will make you run later heads or alter the oiling setup to run older heads. Big point is that they have fairly low peaks. After that is deciding where you want it to go and how much you want to spend. Not quite correct on 71 - 88 360 motors. The 71 - 72 had flat top pistons in them and a higher compression ratio. So if you don't intend to rev to 6 or 7k you can get a 71 - 72 block, find 302 318 hi swirl heads. Have the valves redone to the 308 head valve size and gain a very torquey motor. Just not great for high rpm. 89-91 360s are the best pre-magnum setup. They come with hi swirl 308 heads and as noted roller cam so no nonsense in worrying about what oil you run. '71-'72, but I've seen it in '73s. I'd forget about 302s on most builds. Not worth getting the chambers and giving up the flow of the stock big valve heads. Biggest thing is that old block with the small heads has a fairly high CR for pump gas, if you're going through that trouble Mag heads or aftermarkets are a better idea.